"I'm going to be a pilot… best in the galaxy." 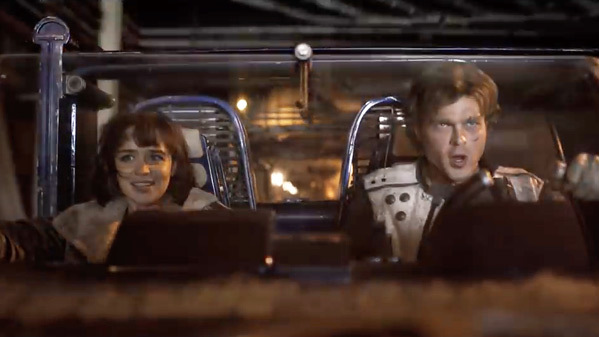 Disney + Lucasfilm have released the first full teaser trailer for Ron Howard's Solo: A Star Wars Story movie, starring Alden Ehrenreich as a young Han Solo. This follows up the 30 seconds of footage Disney aired during the Super Bowl yesterday, and it gives us a very good look at what to expect. 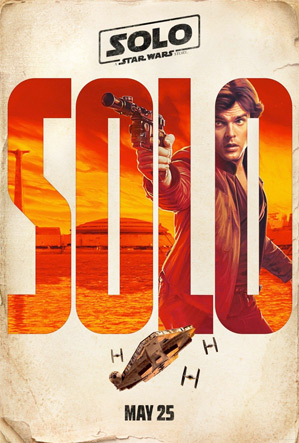 Solo hits theaters in May, which is now only three months away. 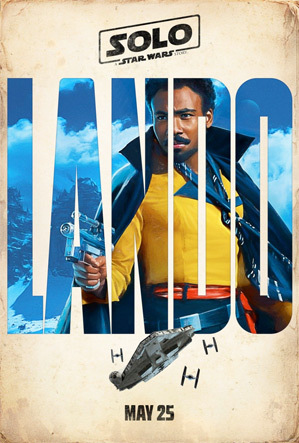 The full cast includes Donald Glover as Lando Calrissian (so badass!! ), plus Emilia Clarke, Woody Harrelson, Paul Bettany, Thandie Newton, Warwick Davis (of course), Clint Howard, and Joonas Suotamo returning as Chewbacca. Honestly, I think this looks great. There's some odd touches to this, but overall it looks like a fun space adventure with some awkward comedy. This music actually seems the weirdest to me. You can still see the brief Super Bowl TV spot for Solo: A Star Wars Story here, for another quick glimpse. During an adventure into a dark criminal underworld, Han Solo meets his future copilot Chewbacca and encounters Lando years before joining the Rebellion. Solo: A Star Wars Story is directed by Oscar-winning American actor-turned-filmmaker Ron Howard, of the films Grand Theft Auto, Splash, Cocoon, Willow, Backdraft, The Paper, Apollo 13, Ransom, Edtv, A Beautiful Mind, The Missing, Cinderella Man, The Da Vinci Code, Frost/Nixon, Angels & Demons, The Dilemma, Rush, In the Heart of the Sea, and Inferno previously. It was originally directed by Phil Lord & Chris Miller, before they were replaced by Howard. The screenplay is by Jon Kasdan and Lawrence Kasdan. Disney + Lucasfilm will release Howard's Solo: A Star Wars Story in theaters everywhere starting May 25th, 2018 this summer. First impression? You excited?